John’s Bomb is a very interesting drink, partly because of the garnish. It gets an orange slice dipped in cinnamon, which is delicious to eat with it. This cocktail features a small amount of Benedictine with a standard amount of tequila. Benedictine is an incredibly sweet herbal liqueur with notes of everything from flowers to spice. It’s hard to pin down, but just a touch of it like you get in this recipe has a very nice flavor. Chill the tequila, and pour it into a shot glass with the Benedictine. 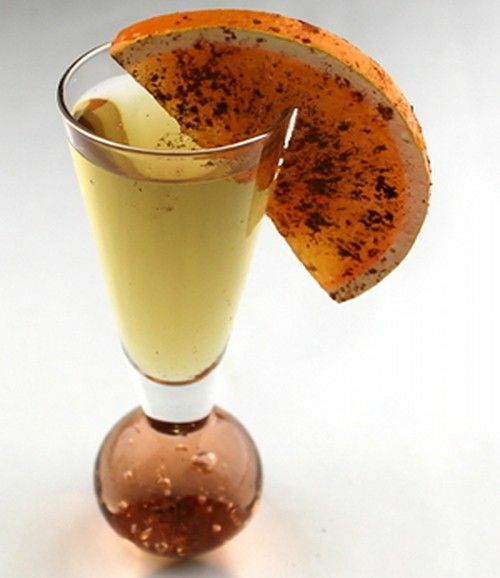 Garnish with an orange wheel that has cinnamon sprinkled on it.